It's America in the 1930s, and virtuoso jazz guitarist Emmet Ray is just beginning to reach his peak. 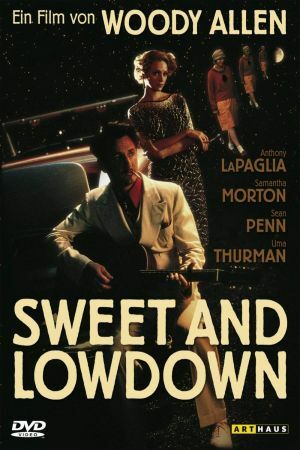 Sweet and Lowdown tells the story in a touching sequence of comic anecdotes strung together by the story of his romance with Hattie (Samantha Morton, who was Oscar nominated for her amazing dialogue-free performance), a mute girl he meets while on a day off with a friend. Ray is an arrogant, irresponsible, neurotic, womanising kleptomaniac, and Penn plays him to perfection, earning an Oscar nomination in the process (he even went to the trouble of learning 20-odd virtuoso guitar pieces especially for the film). 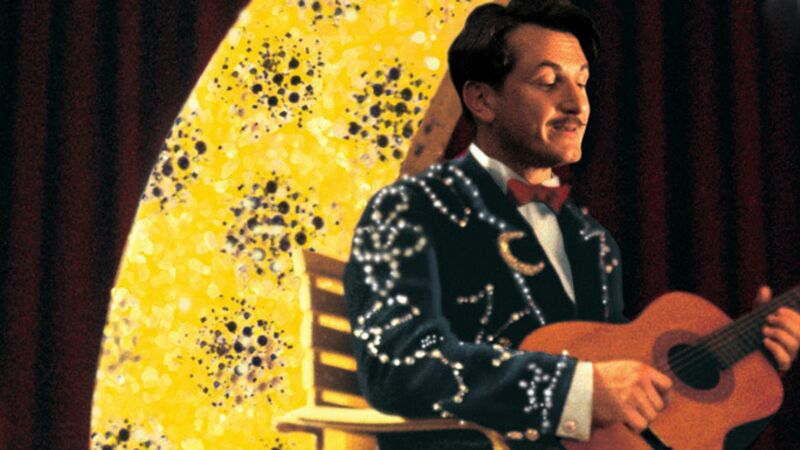 He believes himself to be the greatest guitarist in the world, apart from the famous French gypsy Django Reinhardt in whose presence he is unable to keep from fainting or bursting into tears. Woody Allen manages to capture the feel of the era perfectly. Although there was no Emmet Ray - the film is actually a collection of stories and urban myths gathered about the era, attributed to one person and told in a mock documentary style - you'll come out wishing there was. This is a delicately balance, understated comedy and is well worth coming to see, if only for the incredible music.